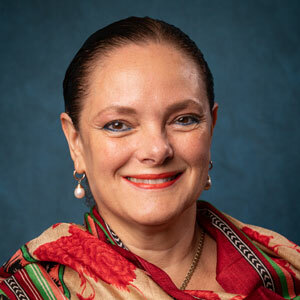 Dr. Irit Felsen, adjunct professor at Ferkauf Graduate School of Psychology, is a co-chair of the trauma group of the NGO on Mental Health in Consultative Relationship with the United Nations and a researcher with the Yale University Trauma Study Group. She has a particular interest in survivors of trauma, and in topics related to post-traumatic reactions, resilience, and intergenerational transmission of effects related to parental trauma. Felsen’s papers have been published in the International Handbook of Multigenerational Legacies of Trauma, the American Journal of Orthopsychiatry, the American Journal of Psychiatry, the International Journal of Psychoanalytic Self Psychology (now Journal of Psychoanalysis, Self and Context) and Psychoanalytic Psychology. What follows is a personal account of leading a seminar on intergenerational transmission of Holocaust trauma. From March 1-3, 2019, I had the honor of leading an intensive seminar, together with Dr. Hadas Wiseman, at the Haifa University Holocaust Studies Program, a master’s program headed by the historians Dr. Arieh Kochavi and Dr. Yael Granot-Bein. Returning to Haifa University was particularly meaningful to me as I had studied there for my BA in Psychology, and this visit brought up many memories of a period of time overshadowed by an unexpected death in the family. As a daughter of survivors, I , too, was then completely overtaken by the need to support my grieving parents, in a way that exemplified some of what I came to discuss with the students. The seminar was dedicated to the topic of intergenerational transmission in Holocaust families and to the ways in which the presence of the Holocaust in family life has impacted the dynamics of family relationships and the life of children of survivors. The Weiss-Livnat Holocaust Studies Program is a unique interdisciplinary program dedicated to creating a new generation of international Holocaust researchers and educators. I had the pleasure of meeting some of the current students and some alumni who joined us for the seminar, an impressive and diverse group comprised of Jewish and non-Jewish, Israeli, Canadian, American, Ukranian, German and Australian students. The participants in this program hold previous degrees in various fields and bring rich experiences from around the globe. The current cohort includes an accomplished musician, a past recipient of a Fulbright Scholarship, students who have already interned at world-renown museums, historians, teachers, educators, linguists and artists, which made the discussions fascinating. The seminar focused on the debate about intergenerational transmission of effects related to the Holocaust. Given the interdisciplinary composition of the students in this program, my first lecture served as an introduction to the topic, presenting current definitions of trauma and addressing the long-term effects of trauma. The second lecture addressed the scholarly debate about whether there is transmission to the “second generation” (and third generation descendants of survivors) or not. I presented findings from the empirical literature about the children of survivors as well as empirical observations from recent meta-analytic studies of other trauma-exposed populations which offer evidence for a significant association between post-traumatic symptoms in the parent and various psychological outcomes in the children (who were not exposed to the parental trauma). I reviewed what we have learned over the recent decades about the nature of the effects that have been transmitted to children of Holocaust survivors and about the variability within this group. Not all children of Holocaust survivors are alike, not all show the same characteristics, yet some psychological themes are often shared. Dr. Sagi-Schwartz presented a guest lecture in which he described findings form a meta-analytic study of children of Holocaust survivors conducted with his colleagues in 2003, which emphasized the importance of differentiating between children whose parents suffered traumatic experiences within the family and those whose parents suffered the traumatic events of the Holocaust inflicted by strangers. This distinction offers an explanation for the lack of clinical disorders in the large population of children of Holocaust survivors, while studies of parents who survived childhood abuse in the family tend to show intergenerational transmission of trauma and of psychological problems of clinical significance. However, findings in the general trauma field continue to show an association between trauma and compromised parental competence. Post-traumatic reactions are frequently associated with elevated risk for excessive punitive parental attitudes, anger and detachment, all of which are correlated with problematic outcomes in the children. Furthermore, findings from studies continue to show that some children of survivors were more impacted than others, and the severity of the parents’ post-traumatic symptoms has been one of the factors explaining this variance (but not the only one). A guest speaker who is a daughter of survivors shared her personal experiences with the group, and her story highlighted this important source for the variability in the experiences of children of survivors. As Tova’s case demonstrated, both parents were survivors, yet the impact on their capacity to relate to their daughter and to provide warmth and a sense of safety was very different. Tova stated that she owes her (well-adjusted) life to her father, who was much more emotionally available to her. Yet there are some children of survivors whose parents were relatively more severely impacted and children who were particularly sensitive to the post-traumatic reactions of their parents. The discussion addressed the degree to which the trauma suffered by the parents had impacted their capacity to provide “good-enough” parenting, the differential sensitivity of individual children, gender and other factors which were relevant to the outcome in the children. Dr. Shrira provided a fascinating review of findings from a series of recent studies that examined the way the second generation experiences their own aging and shared evidence for differences between the children of survivors and peers whose parents were not in the Holocaust. The seminar included also an interactive session where students interviewed each other and later discussed the experience, which aimed at learning about the complexities of the interviewing process and the historical, the subjective and the intersubjective facets of the emergent material. Each of the three days concluded with the showing of a documentary relevant to the topics of the seminar. We showed Here I Learned to Love by Avi Angel, documenting the trip of two child survivor brothers back to Europe, and the unfolding of their individual and different narratives. The documentary demonstrates the subjective and unique ways in which even those who survived very ‘similar’ circumstances might have different memories and different coping strategies to deal with their trauma. Six Million and One by David Fisher documents the trip of four siblings following the diary of their survivor father, found after his death, to the place where their father slaved as an inmate of a forced labor camp. This documentary gives also a glimpse into the complexity of the relationships among adult siblings in Holocaust survivor families (a topic about which there is little literature and on which I published a paper last year). Lastly, Shadows by Noa Aharoni was shown with the director, who discussed the process of the filming of the documentary and answered questions. This documentary, in which three adult children of survivors tell their stories of growing up with abusive survivor parents, had an added personally poignant meaning for me since one of the main characters was the son of the principal of my high school whom I admired, a man who fought with the Partisans and with whom I had a personally warm relationship. Not only was it excruciatingly painful to listen to the suffering of the son, now an aging retired Shin Bet agent, but yet again, another reminder of the tremendously disparate aspects in the adjustment of survivors after extreme trauma. Some people were able to function extremely well professionally and outside the home, while their family life and intimate relationships were deeply impacted and troubled by the continued presence of post-traumatic reactions. The discrepancy between tremendous resilience and success on the one hand and serious impairment and vulnerability on the other characterizes the post-war adaptation of many Holocaust survivors and other trauma survivors and is critically relevant to the transmission of resiliencies and vulnerabilities to future generations. The encounter with this special international group of students in this highly academically and emotionally challenging program left me encouraged and more hopeful that as anti-Semitism, racism and various forms of divisive forces are manifesting across the globe, there are intelligent, sensitive and capable young researchers, educators and entrepreneurs in related fields who will find new ways to make the memory of the Holocaust and the lessons of it relevant and communicable to future generations.